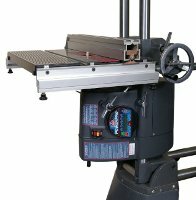 The original Shopsmith Mark V has only tilted to the right... allowing only over-table routing, shaping and drum sanding... the new Shopsmith Mark 7 has been designed to tilt left or right ...allowing both over and under table routing, shaping and drum Sanding, and enabling it to take full advantage of all the enhanced capabilities provided by the revolutionary new Shopsmith PowerPro® motor and headstock. Since its introduction, the Shopsmith Mark V has always offered over-table operation of these functions... however, some woodworkers prefer the under-table approach... feeling that having the bit or cutter under the workpiece keeps the hands out of harm's way and actually protects them from potential injury. If you agree with this, the new, tilt-both-ways Shopsmith Mark 7 lets you have your choice. 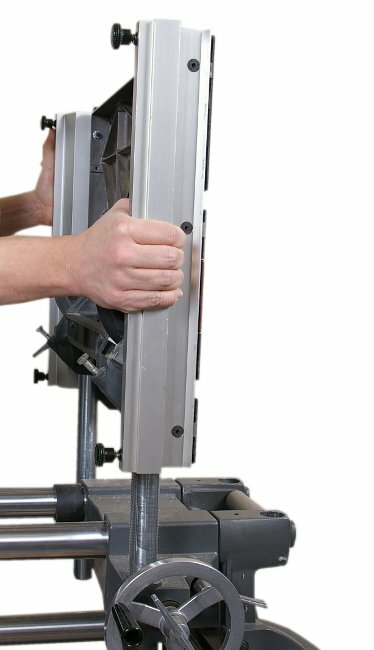 For example, if you're shaping or drum sanding the internal edges of a series of identical picture frames or similar projects, you can use the under-table approach and set your cut depth just once. 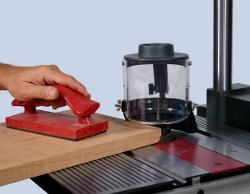 Then you can switch from workpiece-to-workpiece by simply dropping your stock over the protruding bit, cutter or drum and performing your operation. 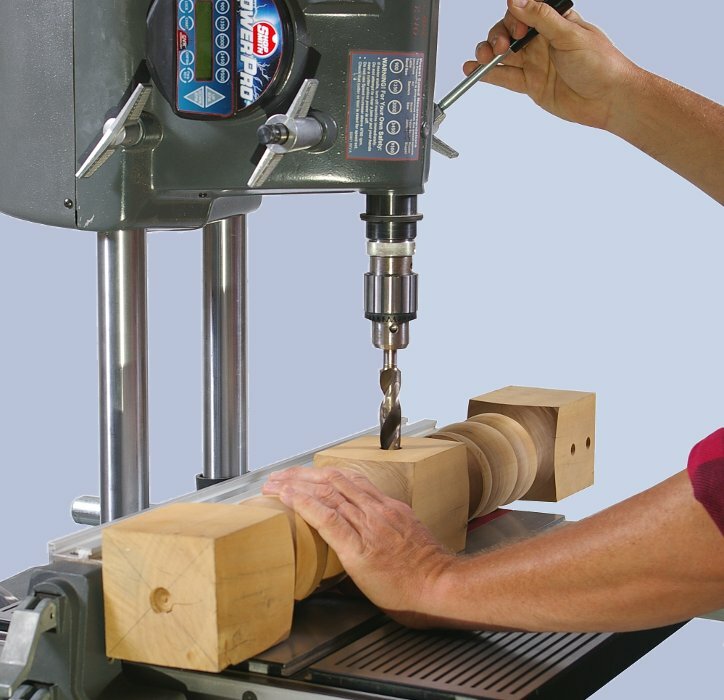 If you were using an over-table set-up, you would have to move your spindle up or down and then reset your depth-of-cut each time you changed workpieces. Not so with an under-table set- up. 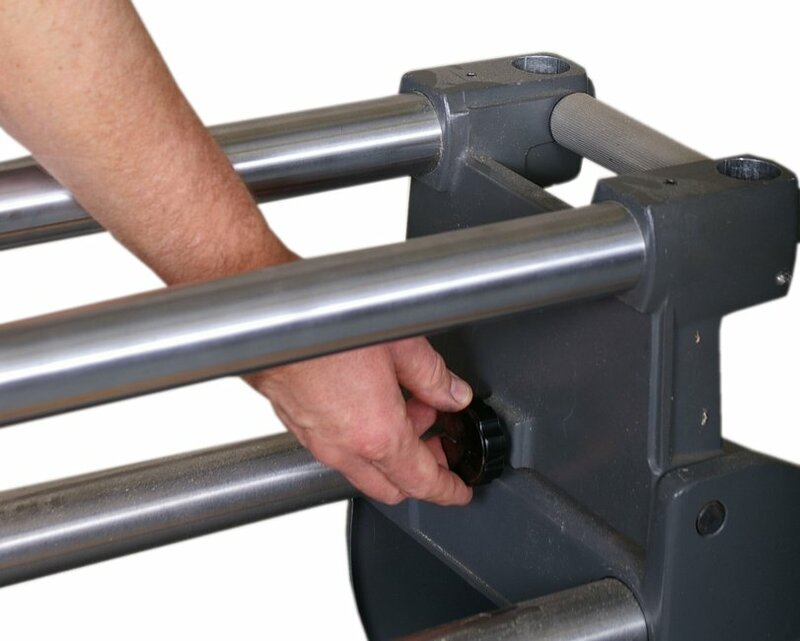 Since the rotating bit or cutter projects up from beneath the workpiece, under-table operation allows you to position your hands where required without interference from the bit or cutter. So, you can exert more down-force on your stock during operation than you could with the bit in your way on top of the workpiece, and therefore, usually achieve greater precision on your cuts. 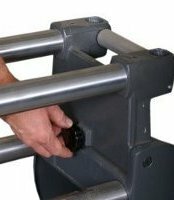 And, by the way, this same scenario holds true for drum sanding operations. 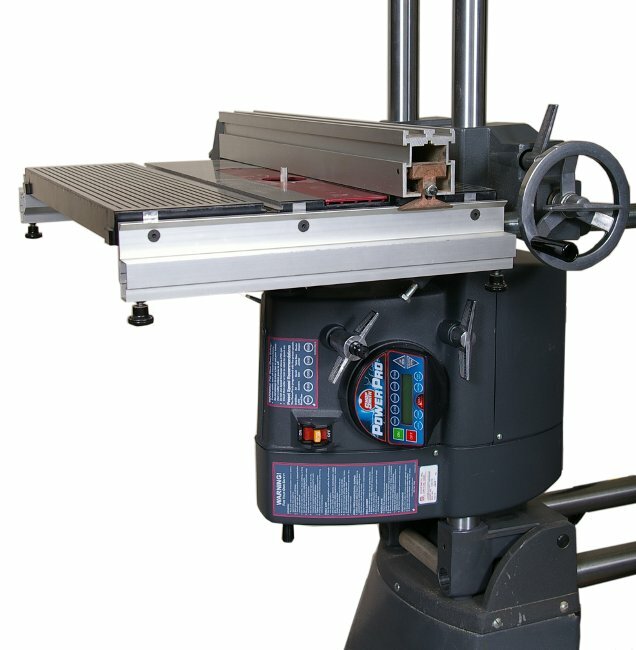 However, although many woodworkers believe that the under-table approach is best, simply because it's more conventional, many Mark V owners believe that the over-table approach is best because it allows the rotating bit or cutter to always be in full view, making it easier and potentially more precise when making stop-cuts (such as for mortises) or for routing to drawn lines. Fortunately, the new Mark 7 allows you to select the approach that you like best. So, what's involved in making the switch? 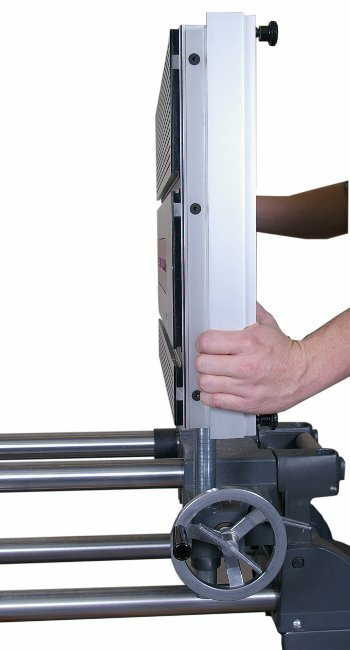 Changing the Mark 7 from over-table to under-table operation is simple.